00SilviaHot is just 24 years of age Straight Female with a hot Slim body, Brown hair and Green eyes. 00SilviaHot says that "I love watch man,kisses, kindness and passion". She has been rated 5.0 and she says you can expect "I don't want to stop;)" in her naughyt cam room. 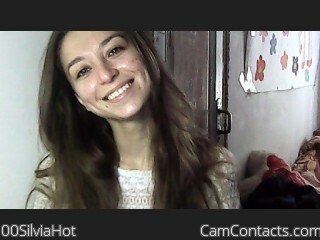 You can find me in the Girls Home Alone - A little shy cam room & I speak English Russian. I'll be there whenever you want it!